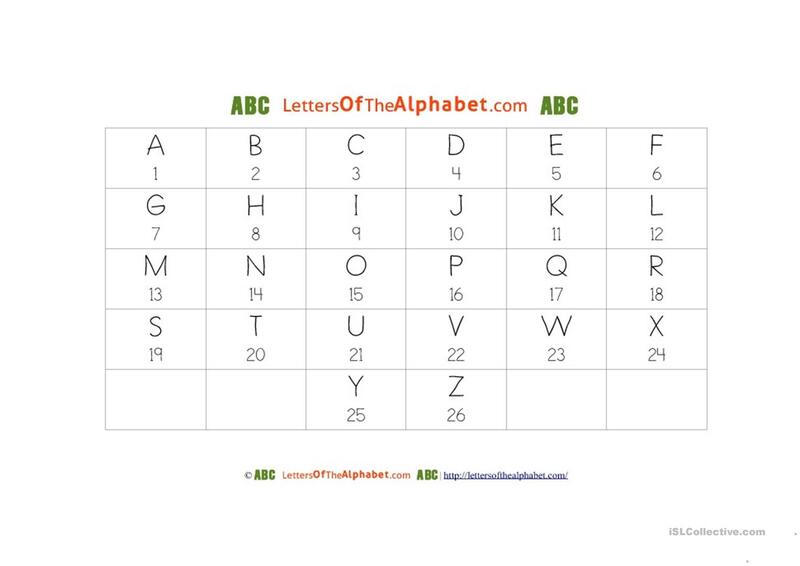 This an activity working on using the alphabet. 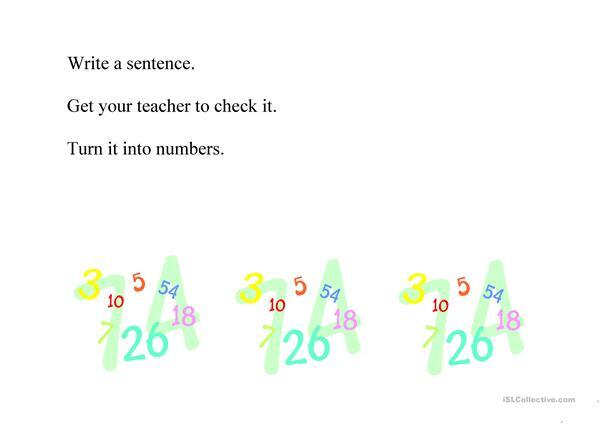 Instructions- on the 2nd page write a sentence you want the students to crack. 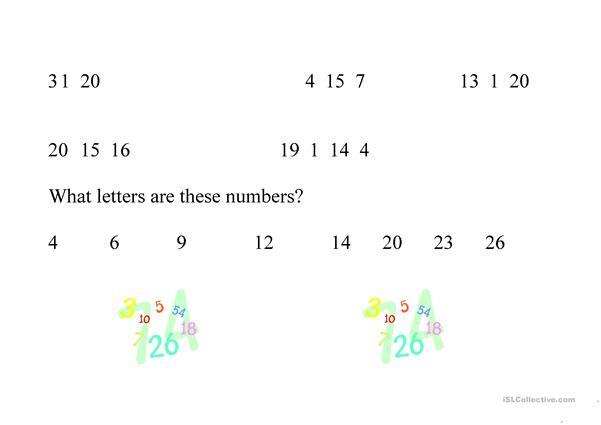 Get them into pairs for the activity. Page 3 is for lower level students. 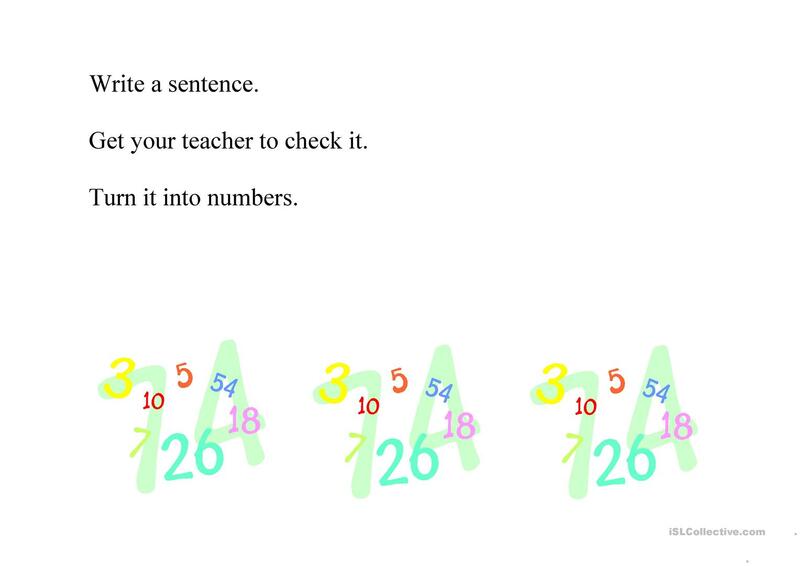 last page is an extension activity. 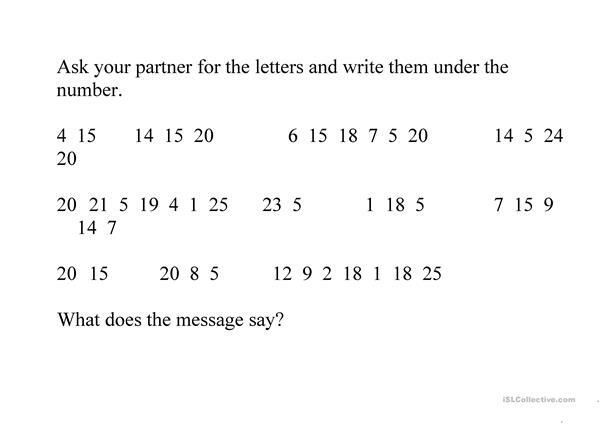 This downloadable printable is best suited for high school students and adults at Beginner (pre-A1) and Elementary (A1) level. It can be used for honing your class' Listening, Speaking, Reading and Writing skills. 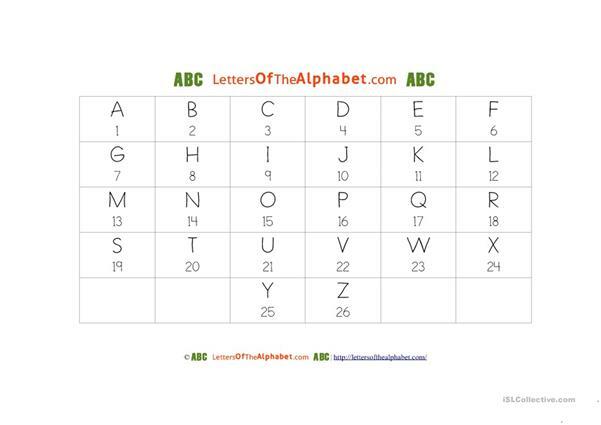 It features the vocabulary topic of Alphabet.